It is not difficult to understand the rise of Donald Trump. The Republican voter is sick and tired of voting for useless politicians who lie to get elected and then pat us on the head and tell us to go home and wait. The waiting is over. 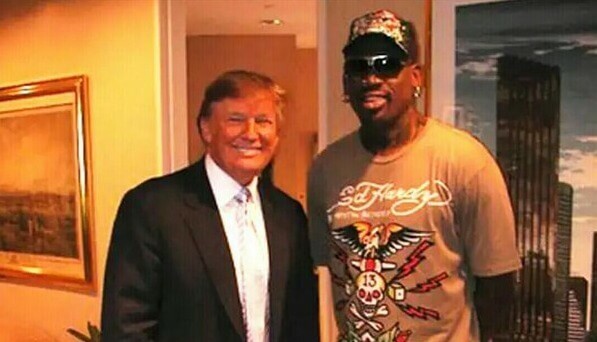 Enter Donald Trump: AKA Dennis Rodman. If you know a little about basketball history Rodman was the enforcer. He was the guy you didn’t mess with. He wasn’t just a bad dude. He was more than that. He was a great defender and a rebounding machine. But here’s the thing about Rodman; Everyone hated him. Unless he was on your team. You wanted the toughness of Rodman fighting for every loose ball and punching back when one of your teammates got a hard foul. If he was on the other team he was despised, but if he was on your team you loved him even if personally you couldn’t stand him. And you know why you loved him? Because with him you would win. This is the same with Trump. He is not liked but you wouldn’t want to go against him. I believe he is a winner. A man that will get it done. A man that will fight in the trenches like Rodman. Something that the elites in Washington have no will to do. So, when you think about all the negatives of Trump, think of the positives as well. He is a fighter and we haven’t had one of those in a long while.